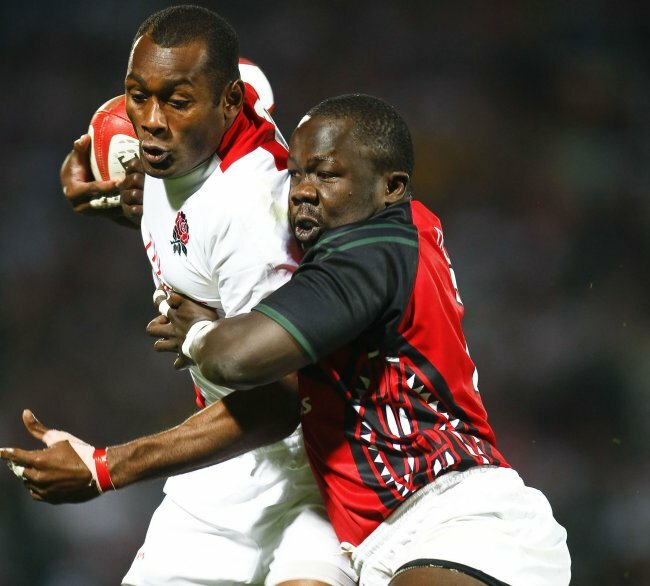 Kenya’s big breakthrough in the Rugby World Cup Sevens came in 2009 in Dubai when they beat Fiji, the then defending champions to reach the semi-final and gain an automatic qualification to the 2013 tournament in Moscow, Russia. One of the unsung heroes of the side captained by Humphrey Kayange was Victor Oduor a solid no-nonsense forward popularly known as Opong and built like a wrestler. Benjamin Ayimba, the coach described Oduor as exceptional in this tournament. The former Mwamba and Kenya Harlequin FC player remembers the tournament clearly like it happened yesterday. “We clicked at the right time and each player knew their exact roles and responsibilities,” he recalls. The confidence which in the Kenya Sevens vocabulary is coded ‘macho red’ could have come on the eve of the tournament when Kenya trained with the defending champions Fiji, a comradire which had been built over the years. “The confidence was built around a training game with Fiji where we played and won four quarters. For the first time, Fiji appeared slow and uncoordinated during training,” observed Oduor. His prophetic words were realized when Kenya won 26-7 in the quarter final with input by the technical bench which also included two former players Oscar Osir (as team manager) and Felix Ochieng as assistant coach to Ayimba. “They really insisted on us being patient in defense and aggressive in the rucks. The plan was to retain possession and spread the ball wide while hitting the rucks in the 15 meter marks,” Oduor recalls. The player attributes his performance at the tournament to confidence and self belief. “My confidence and self belief came after we did our homework well during the training game with Fiji. Tall (Humphrey Kayange), Allan Onyango and myself were the starting forwards and agreed that whoever had the ball in hand was to make Fiji turn and chase the ball carrier because we thought they appeared bulky and slow,” Oduor stated. This is the script that the players followed to upset Fiji. The squad: Victor Oduor, Allan Onyango, Humphrey Kayange, Biko Adema, Gibson Weru, Lavin Asego, Collins Injera, Sidney Ashioya, Benedict Nyambu, Innocent Simiyu, Wilson Opondo, Horace Otieno; Benjamin Ayimba (coach), Felix Ochieng’ (assistant coach), Oscar Osir (team manager). Try scorers: Lavin Asego, Biko Adema, Humphrey Kayange and Collins Injera. Asego scored and converted the first try after slicing through the Fiji defense for a 7-0 lead at half time. On resumption, Oduor split the Fiji gain line to set up Adema for the second try which Asego converted to stretch the lead 14-0. Fiji replied with a converted try by Orisi Sareki. It was Oduor who mixed his rugby and football (soccer) skills kicking an uncharacteristic grubber by a forward, gathered and passed to Kayange to cross the line. Asego converted for a 21-7 lead. Then the sibling combination of Kayange and Collins Injera produced the fourth try. From this squad, only Injera (player) and Innocent Simiyu (coach) will be in San Francisco when the tournament kicks off on July 20.